In the overconnected modern world? Oh yeah!!! Too much time on their hands if they have nothing better to do than troll! Isn’t it strange how we can hold an opinion, as a different character, and totally support it even though, IRL, we have an opposing view! I find it reinforces my devil’s advocate mode that infuriates my wife!!! Yes, that’s true. I suppose in a way it’s a good thing – to consider opposing points of view. It creates understanding at a minimum. If the world had more of that it would be a nicer place! You bring up some heavy topics here. I do think some of the “our voices” mandates can hamper creativity, even while they seek to increase cultural sensitivity. I know that I enjoy writing from the perspective of a male and have done so in several of my short stories. I think female writers have an easier time of this than male writers trying to write through the lens of a female. You might be right on that. I don’t have too much trouble writing as a man either. I wonder if this is a trend that will pass or if it will only increase. The arts are meant to broaden the mind not shrink it to a narrow focus. I hope we find a happy medium in what’s acceptable and kind! This is great, Meg. I am similar. You bring up excellent points and food for thought. I love that writing requires one to step out of a comfort zone, research, and even grow as a human being. It does! And I think trying to write from another perspective helps you empathize with a different group of people. Maybe even see a point of view you never considered before. I know I’ve thought differently about a lot of things since I’ve been writing! Thanks, Angela! I agree! Me too. You’re welcome, Meg. Thanks, Alex! Yes, it’s shaky ground we walk on. Perhaps in a way, we are forced to be more creative to avoid the pitfalls? At least more mindful! When you writing and you come across a piece of prose and you’re wondering about something you wrote, ask your hubby “Would a man say this?”. Spouses are very handy to have around at times. When I’m writing as someone I’m clearly not – Cassie Cater of Blue Cottage – I frequently ask my wife “would a woman say this?” its a fine line we cross and allows to understand the other gender a little more, not much but a little. Yes, very handy indeed! A huge help! It seems that one can project into being almost anyone or anything as a (good) writer, but then in first person that is what the reader is experiencing too, so the view must be excellent. If I read about a person in third person, I can misjudge them based on observation and misdirection of the author, but if I read their thoughts and view, which tells my mind that “I” did this or that, then they have to make sense or be compelling or comprehensible to me, even if the person is what I might think of as ‘crazy’ or ‘wrong’ or other negative attitudes–otherwise the inside I of the reader starts to say, “No way does that sound right”. Good luck with the balance of it! You’re right about first versus third person. In third person, we are left to understand the character by their actions or whatever the narrator chooses to reveal to us. First person does put you inside the character’s head, so when you are writing someone much different from yourself, it becomes especially challenging! Thanks, Donnalee! Have a great evening! Some of my favorite novels are written in the first person, but for new writers, I recommend they stay away from the first person because of all the horrific mistakes that can happen with it. I wrote my first novel in the third person, with two point-of-view characters (one each female and male). As the mother of three testosterone-based life forms (and mother-in-law of another), I feel I have a pretty good handle on what makes them tick, but I did solicit their advice for one issue (gym equipment and working out). 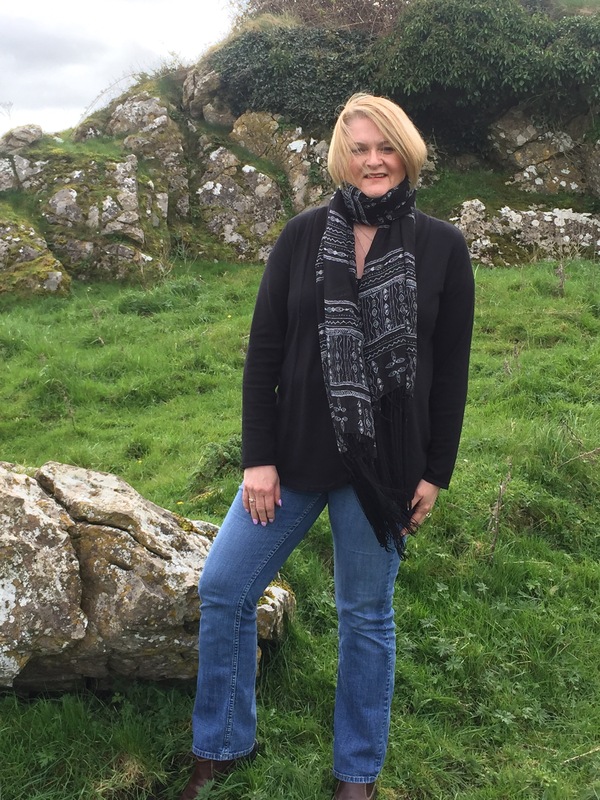 The novel I wrote is set in Ireland, and I did three years of cultural immersion research. While I did make a two-week visit to that country, I didn’t interview any Irish people, because I was able to get all the indigenous viewpoints I needed from three years of daily reading the Irish Independent and the Irish Times newspapers online. I like to read in the first person POV, too. I think that’s why I gravitate to it as a writer. You’re right about the potential for disaster though! So far my published novels have been set in my home region and are from the perspective of women in their thirties, so not much of a stretch to write in first person. My WIP is set during the years leading up to and during WWI so I’m depending on extensive research, poetry and art of the time along with documentary and biography reading to get my narrative right! I met a woman at a class who calls herself a “sensitivity reader.” She is disabled and edits books and scripts specifically for how they portray characters with disabilities. She said there are others who do the same for specific, races, cultures, religions, etc. I had no idea this was a niche, (and no idea if she gets much work) but I thought it was really interesting – and made a lot of sense! It does make a lot of sense. Because it lets us include characters from different backgrounds with sensitivity! Perfect!